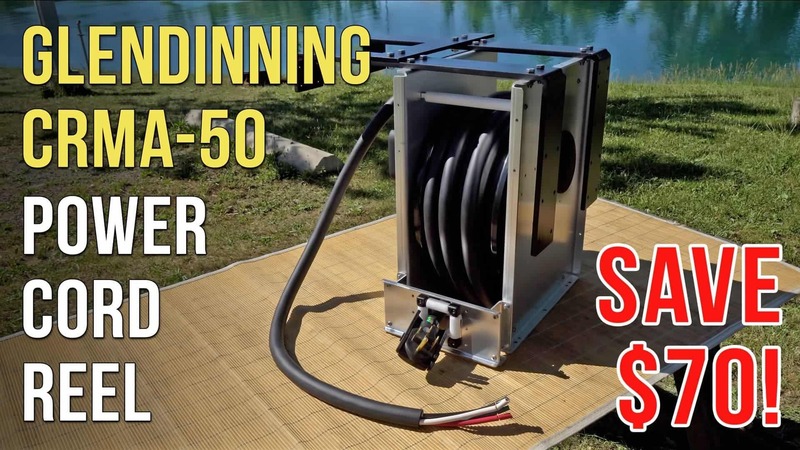 We absolutely LOVE our Glendinning CRMA-50 Power Cord Reel! At 50 feet long (way longer than most cords), it reaches just about every pedestal without an extension (YAY!). The built in LED on the power plug tells you instantly if power is on. The EZ Unplug Lever smoothly and easily releases the plug from the outlet. And the incredibly pliable casing on the cord makes handling it a breeze. Save $70 on the purchase of a Model CRMA-50 Power Cord Reel when you use the Coupon Code “RVGEEKS” at checkout.